ATLANTA, October 3, 2017	(Newswire.com) - Agency Spotter releases the Top Advertising Agencies Report for Q3 of 2017. The report features the top 20 advertising agencies out of a pool of more than 2,300 advertising agencies. 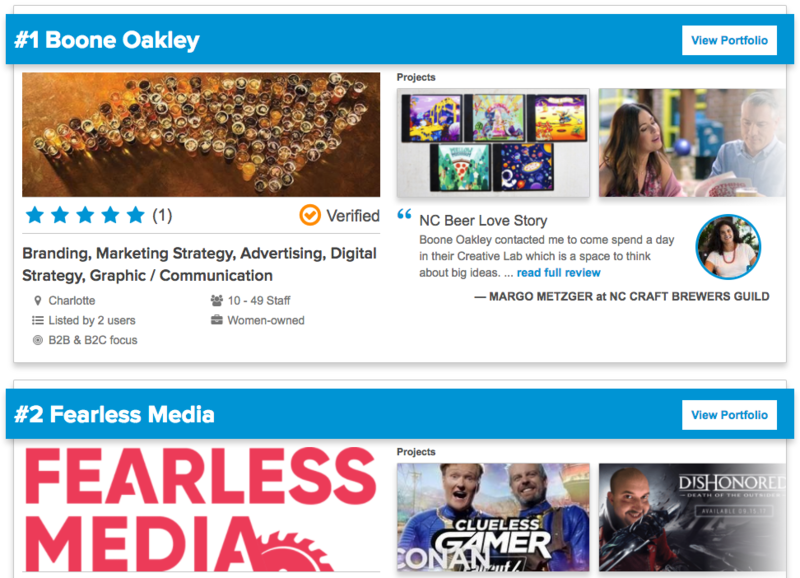 Boone Oakley, out of Charlotte, North Carolina, takes the top advertising spot this quarter. 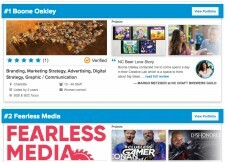 Their work for brands like Mellow Mushroom, Bojangles, Sheex, CarMax, and many more helped them rise to the top along with a glowing client review. Margo Metzger, Executive Director of NC Craft Brewers Guild, had this to say, "...we made the most beautiful beer ad I've ever seen... The team at Boone Oakley are brilliant and fun to work with to boot."